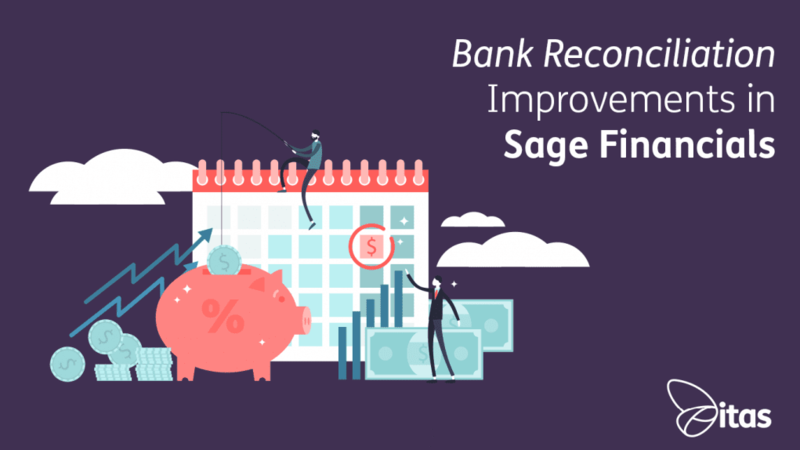 Within this blog, we are going to look at the brand new Bank Reconciliation within Sage Financials (previously known as Sage Live). So, what is the bank reconciliation screen and how do we get there? Sage Financials gives you two options to import transactions from your bank into your accounting system. You have the option to use either Sage Direct Bank Feeds or CSV imports. The most automated method here being Sage Direct Bank Feeds which automatically pull the transactions down from your online banking. Well, in this case anyway! One new feature that is extremely beneficial is the option to ‘Ignore’ a line straight from the matching screen. Previously once a transaction was loaded from the bank, if you didn’t want to match it, you had to go into the journal and delete the line manually. Now, if a transaction for whatever reason doesn’t need to be matched at this point, you can simply choose to remove this directly in the bank reconciliation screen. Within the latest version of Sage Financials, the reconciliation screen is displayed differently to what we are used to. In the previous version, we had two tabs above our matching screen labeled ‘Need Attention’ and ‘All Transactions’. In the newest update, we now have three tabs labeled ‘To Reconcile’, ‘To Confirm’ and ‘Reconciled’. The ‘To Reconcile’ tab shows the user a list of bank transactions that need to be manually allocated. The ‘To Confirm’ header provides a list of the transactions which Sage has recognised may match with an item in the system. If the system has matched correctly the user can validate the posting. The ‘Reconciled’ tab provides a list of all the confirmed transactions. These new tabs make the matching screen look more visually appealing and helps increase usability. With Sage automatically looking to allocate transactions for you using the ‘To Confirm’ tab, this frees up time allowing you to focus on more than just data input. A great addition to the new and improved Bank Reconciliation screen is the ability to add an adjustment to a transaction. Let’s outline a quick scenario to display just how helpful this new feature is. You have received a payment for an invoice you raised to an international company for £500.00. Due to exchange rates and bank charges you only actually receive £490.00. For a transaction like this one using the old bank functionality, you would have to load in the £490.00 into the system. You would then allocate this amount against the invoice leaving £10.00 outstanding. Then you would have to create a manual journal to account for the missing £10.00. Now let’s see just how fantastic the new functionality is using the same scenario. Using the new and improved screen you are now able to select what kind of adjustment you would like to use for the difference in the transaction amount. 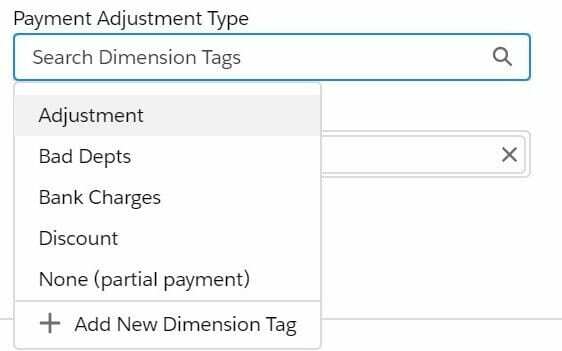 You have the option to use the dimension tags ‘Adjustment’, ‘Bad Debts’, ‘Bank Charges’, ‘Discount’ and ‘None (partial payment)’. In the above same scenario, you would load the bank transaction showing as £490.00. You would then select the ‘Bank Charges’ adjustment type from the drop-down. Once posted, Sage will recognise the difference as bank charges, post this to the Bank Charge Ledger Account and will also allow for this data to be reported on. That’s all you need to do… Select a drop-down option straight from the matching screen to establish a financial adjustment! Out with the old, in with the… Existing? The biggest difference between the old functionality and the new is the disappearance of the Bank Takings journal. There is no longer a journal created for a banking transaction. Instead, the bank feed will use existing journal types like Customer Receipts or Supplier Payments. With this journal now being taken away, there is also no need for the Bank Item Types or the associated posting rules. All these little tweaks have made for a simpler process, making our lives a lot easier! This means you are able to see all payments and receipts in the same place. The last feature we are going to discuss within the new Sage Financials Bank Reconciliation screen is the Match and New Journal buttons. Previously when using the matching screen, you were unable to generate a new journal directly. Sage has now supplied us with the option to create a New Journal within the matching screen. Being able to utilise a feature such as this will aid in the streamlining of processes and decrease the chances of human error. The Match button in this section provides us with a solution to match previously created journals directly to a bank transaction. Given the ability to do this at the point of reconciliation improves user productivity, cuts journal postings and makes for cleaner accounts. From everything we have talked about so far, I think it is safe to say that Sage has made some fantastic improvements! Sage have listened to their clients and generated a whole new processing page to support their customers needs for the better. Within version 89 of Sage Financials, we can see just how beneficial the new way of working is going to be. If you haven’t already, why not check out this blog to see what else is new in the December release. But, how do I get it?! Stephen is one of our newest members of the itas team, but this hasn’t stopped him already making a fantastic impact on the business. Stephen has over 3 years of experience working within a Finance role and has also completed all of this AAT studies. With Stephen’s knowledge and expertise he really has hit the ground running with itas. Stephen loves to write interesting blogs and endeavours to help all those in need with Sage. In his spare time, Stephen enjoys keeping fit and maintaining a healthy social life in his home town of Chester. Stephen is always happy to help, so if you need anything, or would like to know more, please get in touch!